She sat at the kitchen table, a half empty bottle of Philip's precious red wine in one hand, a loaded gun in the other. Staring at the foreign chunk of metal, she willed it to vanish. But it didn't. Sam's sweet face stared back at her, smiling. From where she sat, she could see the small chip in his right front tooth, the result of an impatient father raising the training wheels too early. But there was no point in blaming Philip—not when they'd both lost so much. Not when it's all my fault. Her gaze swept over the mantle. There were three objects on it besides the candle. Two envelopes, one addressed to Leah and one to Philip, and the portfolio case that contained the illustrations and manuscript on disc for Sam's book. "And promises can't be broken. Right, Sam?" She gulped back the last pungent mouthful of Cabernet and dropped the empty bottle. It rolled under the chair, unbroken, rocking on the hardwood floor. Then all was silent, except the antique grandfather clock in the far corner. Its ticking reminded her of the clown's shoe. The one with the tack in it. She drew an infinity symbol in the dust on the table. "Sadie and Sam. For all eternity." She swallowed hard as tears flooded her eyes. "I'm sorry I couldn't save you, baby. I tried to. God, I tried. Forgive me, Sam." Her words ended in a gut-wrenching moan. Something scraped the window beside her. She pressed her face to the frosted glass, then jerked back with a gasp. "Go away!" 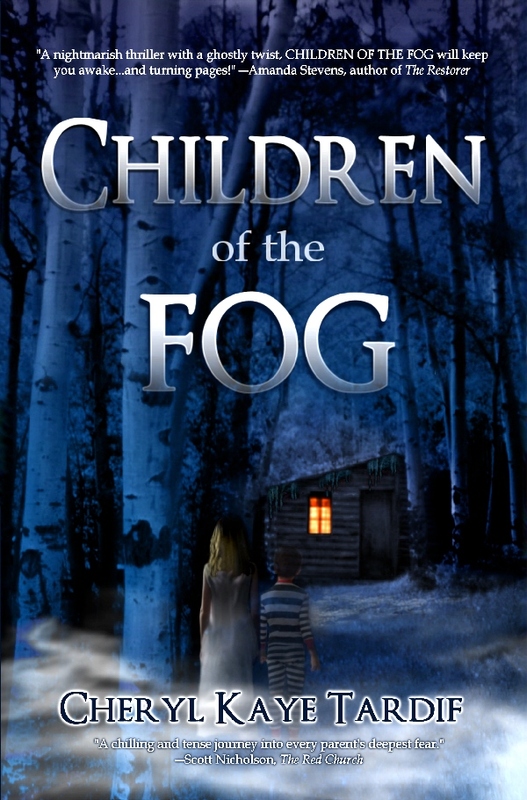 They stood motionless—six children that drifted from the swirling miasma of night air, haunting her nights and every waking moment. 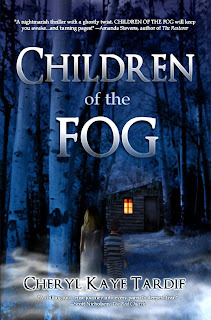 Surrounded by the moonlit fog, they began to chant. "One fine day, in the middle of the night…"
"You're not real," she whispered. "Two dead boys got up to fight." A small, pale hand splayed against the exterior of the window. Below it, droplets of condensation slid like tears down the glass. She reached out, matching her hand to the child's. Shivering, she pulled away. "You don't exist." The clock continued its morbid countdown. As the alcohol and drug potpourri kicked in, the room began to spin and her stomach heaved. She inhaled deeply. She couldn't afford to get sick. Sam was waiting for her. Tears spilled down her cheeks. "I'm ready." Without hesitation, she raised the gun to her temple. She pressed the gun against her flesh. The tip of the barrel was cold. Like her hands, her feet...her heart. A sob erupted from the back of her throat. The clock let out a final gong. Then it was deathly silent. Her eyes found Sam's face again. She took a steadying breath, pushed the gun hard against her skin and clamped her eyes shut. And be sure to enter my Rafflecopter Contest & Kindle Fire HDGiveaway.